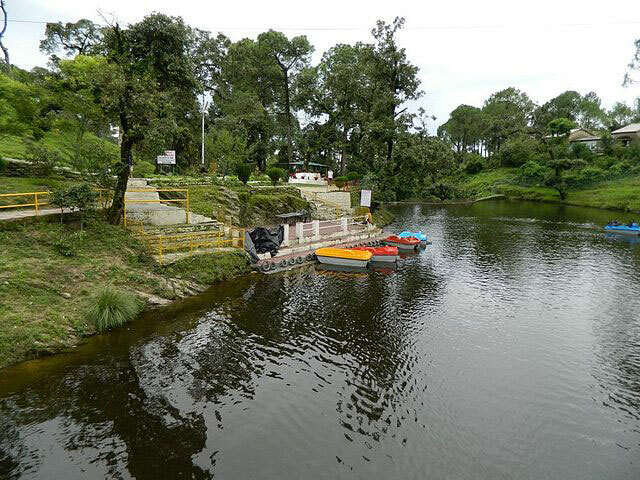 Lansdowne is a quiet hill station in Uttrakhand. The hill station is relatively unexplored and not as commercialised as other hill stations. The area is drenched in peace and tranquillity emanating from the mighty peaks surrounding the area. The hill station was famous during the British period due to its pleasant weather and serene surroundings. The hill station still has many buildings of the British time. Presently, the town houses the cantonment of the Garhwal Rifles of the Indian Army. Foreign tourists cannot stay overnight in the area due to the presence of the cantonment and need special visa permits. The hill station has no airports or railway stations. The easiest way to reach the hillock is via road. It is a five-hour drive from Delhi. The journey is as beautiful as the destination. Once one nears Lansdowne, the scenery would change to accommodate pristine oak and pine trees. It would be advisable to not visit the hill station in winters. During winters the temperatures go below zero and the area is extremely cold, especially the months of December and January. Though snowfalls are an alluring part of the Lansdowne winters. The summer months are the most pleasant. The maximum temperature never goes beyond 30 °C. Lansdowne receives heavy rainfall. It makes the surroundings even more lush and bountiful. Jungle safari in the nearby forest is an important tourist attraction in the region. The lush green forests and the cool climate make the ride all the more fun. Hawaghar is a viewing spot that offers the view of the daunting Himalayas. There are many trekking routes to the point. The picturesque view and the meandering view makes it worth the effort to reach the top. Tarkeshwar Mahadeva temple in the region is dedicated to Lord Shiva. The Mahashivarathri festival dedicated to the wish-fulfilling deity is celebrated zealously. Bhulla Tal is a beautiful picnic spot maintained by the army. The lake literally means younger brother and is dedicated to the soldiers who were involved in its construction. The lake is a beautiful boating spot as well. Johns Church is a beautiful church constructed in the 1930s, located on the Mall road. Next to this is the St. Mary Church that is no more functional. A visit to the army museum is a must. The army museum showcases the change in the artillery that has been used by the army. 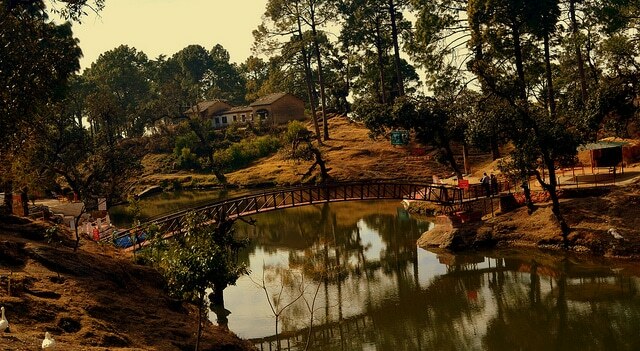 The beautiful hill station is a retreat away from the hustle bustle of the city. The town is hidden away from the public eye, waiting to be explored. The many panoramic spots in the area is ideal for a romantic weekend getaway.